Colosseo restaurant in New Milford is located at 38 Park Lane Road (Route 202). There is new life at Colosseo Bar Ristorante Pizza in New Milford. A few new employees have rounded out the staff, and a variety of entertainment offerings and food choices are now available in the recently remodeled bar/lounge. “It’s a neighborhood place with lots of local people,” said Joe Plazzao, who began frequenting Colosseo a few months ago and has since been a faithful customer. “And the food is great,” he said. 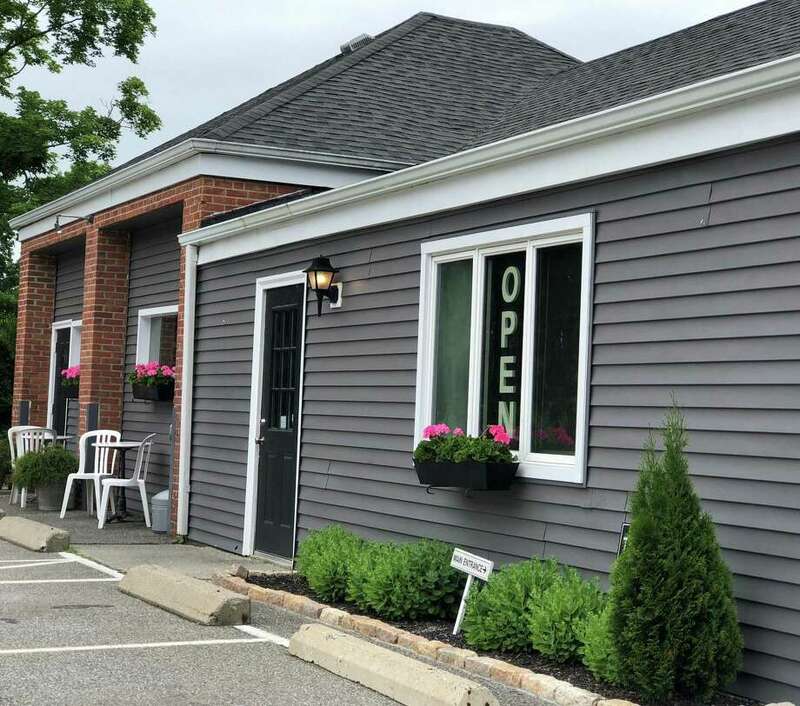 The restaurant celebrated its 25th anniversary at 38 Park Lane Road (Route 202) last year, and marked the milestone with a change in management, a major dining room renovation project and a new menu. In addition, longtime owner Rosalia Des Biens welcomed her nephew Robert Pizzo aboard as manager and chef, who brought with him his experience as owner of the former Doc’s restaurant on Lake Waramaug and later in Kent. This year’s changes in the bar began in January and were implemented over the past few months. “By remodeling the bar, more people can come in and relax,” said Des Biens. The bar counter was refurbished and four old booths were removed. Three high top tables with four chairs each, and one high top table with two chairs were added. A third TV was installed and a new wine rack was added on an end wall. In addition to physical changes, including the installation of central air conditioning throughout the building, the restaurant welcomed new bartenders, led by bar manager Darlene Reza. “They’re an unbelievable asset,” said Pizzo of the new bar staff. “And (Darlene) has brought a whole different vibe,” he said, citing her positive energy. Frank Doto, who became a customer around the start of the year, praised the staff for knowing what customers like, making a customer’s experience pleasant and knowing customers’ names. Reza said bar patrons include a cross section of people, ranging from families who sit at the high top tables to eat and watch TV, to couples on a date, businessmen, blue collar workers and others. Entertainment also has a new home at Colosseo. DJ trivia, held Thursdays at 7:15 p.m., now draws a good crowd that often requires table reservations in the bar, according to Des Biens. And karaoke is offered Friday nights. Pizzo has also implemented food specials during the week at the bar. Monday is Kobe burger night; Tuesday is Taco Tuesday; Wednesday is 35-cent wing night with the purchase of a drink; and Friday is fajita night. More people are ordering food at the bar now, Pizzo said. A wide variety of food choices are available: the lunch and dinner menus, as well as specials and a special happy hour appetizers menu that includes such items as fried shrimp, truffle fries, beef empanadas and mini pork shank. Sunday brunch, featuring a starter, entrée and a few different types of bottomless drinks, is available from noon to 3 p.m. for $30. Happy hour, offered Mondays through Fridays from 2 to 7 p.m. and Saturdays from 11 a.m. to 4 p.m., also draws a crowd, staff said. Resident Shannon Roberts noticed the restaurant’s recent changes in the bar have drawn a younger crowd, especially with karaoke. She said the staff’s interaction with the customers puts patrons at ease. “You know who the owner and manager are,” Roberts said, noting they make sure to be present and chat with customers. Colosseo is located at 38 Park Lane Road in New Milford. The restaurant offers three main areas: a main dining room, a takeout window and a bar. For more information, call 860-350-9596. It is open Mondays through Saturdays from 11 a.m. to 10 p.m. and Sundays from 11:30 a.m. to 10 p.m. The bar/lounge is open until closing.